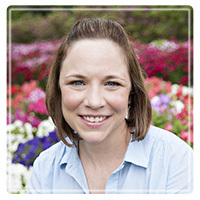 Kingwood Therapist: Amie Allain - Therapist 77339. Send A Message To Dr. Allain. A therapeutic partnershipThe most important aspect of our work together will be the relationship that we develop as client and therapist. My goal is that we develop a relationship that is built on trust and open communication, that we can give each other feedback and that you, the client, can talk about things that are difficult to talk about anywhere else. I want this to be a very safe space where you can come and talk about things that are difficult, try out new things, and know that I am not judging you. In my view, therapy is largely about learning and trying new things, talking about the things that have been difficult to talk about anywhere else, and with a person who will be open, honest, and non-judgmental. In my view, mutual feedback is very important, as I want you to feel comfortable giving me feedback, as well as hearing feedback and at times, challenges, from me. This ability to provide and receive feedback is an important aspect of the growth process. In addition to the relationship that we develop and foster, there is typically a need for learning and developing new skills. As such, I utilize techniques and strategies from cognitive-behavioral theory. Here, we focus on an understanding of the interaction between our thoughts, feelings, and behaviors. We will discuss and explore how to make lasting changes that lead to a happier, more fulfilled life. In addition, I will provide psychoeducation about any presenting clinical concerns, such as depression or anxiety. This information is invaluable toward understanding how such symptoms impact daily living and in turn, how to manage those symptoms. Finally, we do not live in a vacuum. The people around you and closest to you play a part in the things you experience; they impact your moods and behaviors, just as your moods and behaviors impact those around you. As such, it is important that we consider these relationships and dynamics. We will talk about it, we will work through it, and, if appropriate, we will include others in the therapeutic work. By acknowledging, accepting, and addressing the nature of your closest relationships, we address all facets of your life and well-being.